If you haven't noticed, I've been on a peanut kick. I eat it off a spoon. Straight from the jar. The amount of peanut related items on my blog right now is ridiculous. The good kind of ridiculous. I've been meaning to get to my March baker's dozen challenge and I keep getting sucked back in by peanut related recipes, surprise parties and sangria. I've also been meaning to do my taxes. And visit my Dad. Okay, okay, visit my Dad to give him my taxes. Busted. 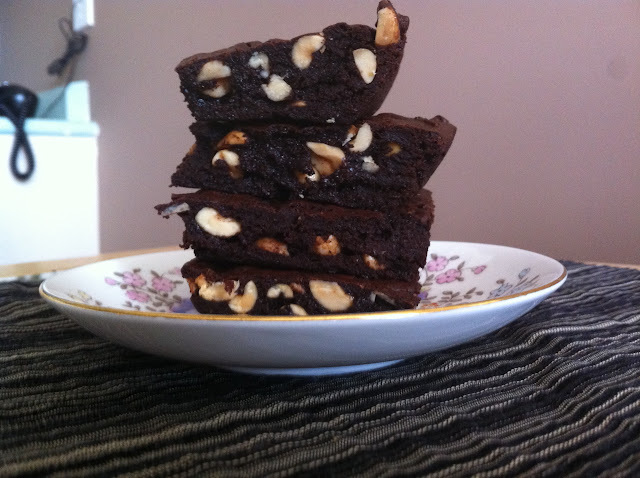 Instead of doing anything productive, I've been reading books, watching Mad Men and making brownies. 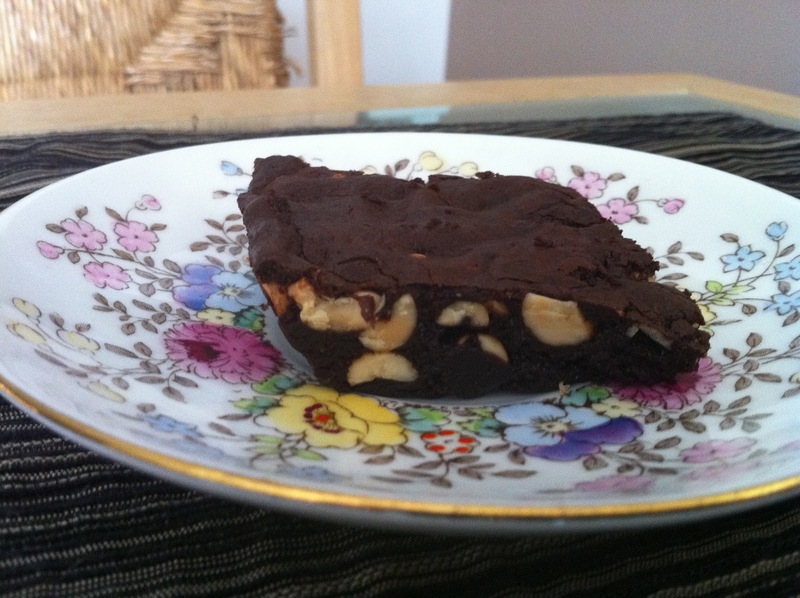 These are no ordinary brownies. They have browned butter. As my SIL says "so much better than regular butter." Could not have said it any better. 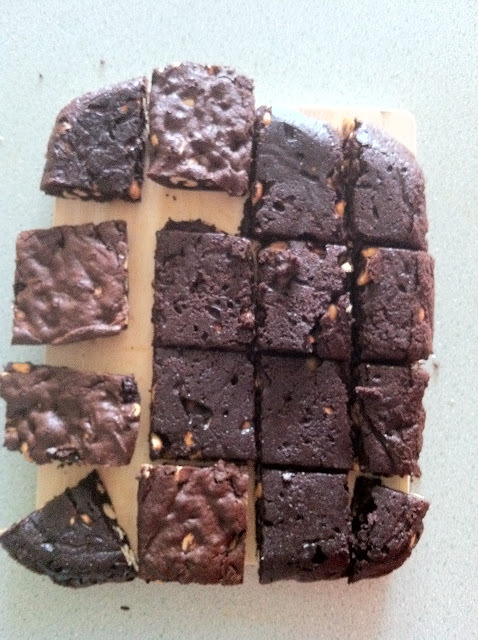 Browned butter gives anything that smooth, nutty flavour that you want in a brownie. I'm a huge fan of nuts in brownies and I think that adding the browned butter just adds so much to it. These brownies are very rich, as if you had put a few ounces of good dark chocolate into them, but surprisingly, there's only cocoa powder. You know what's even better about these brownies, other than the browned butter, peanuts and rich, chocolate flavour? It's a one pot recipe. Less dishes = happy baker. Original recipe called for walnuts instead of peanuts. Walnuts of course would've been the "healthier" choice but a) I didn't have any and was too lazy to walk to the store. b) see above re: peanut overload. Position oven racks into the lower third of the oven and preheat to 325 degrees. Line an 8x8 baking pan with foil, leaving a few inches of overhang on each end. Spray foil liberally with non-stick spray, set aside. Melt butter, over medium heat, in a medium-sized saucepan. Cook until butter stops foaming and brown bits start to form on the bottom, about 5 minutes. Butter will be a lovely golden, caramel colour. Try very hard not to drink it, like I wanted too. 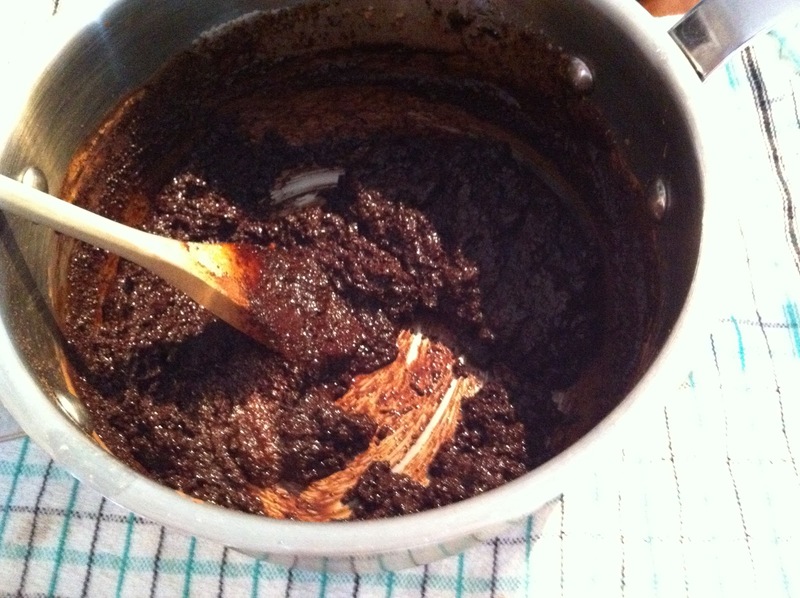 Remove from heat and immediately add cocoa, sugar, water, vanilla and salt. Stir to blend completely. Let cool for about 5 minutes, mixture should still be warm to the touch. Add in eggs, one at a time, stirring vigorously to blend before adding the next one. When mixture looks thick and shiny, add flour and stir for at least 60 strokes. Mixture is super thick and this step might take awhile depending on your arm strength. Or recruit the husband, but warning he may try and eat the batter. 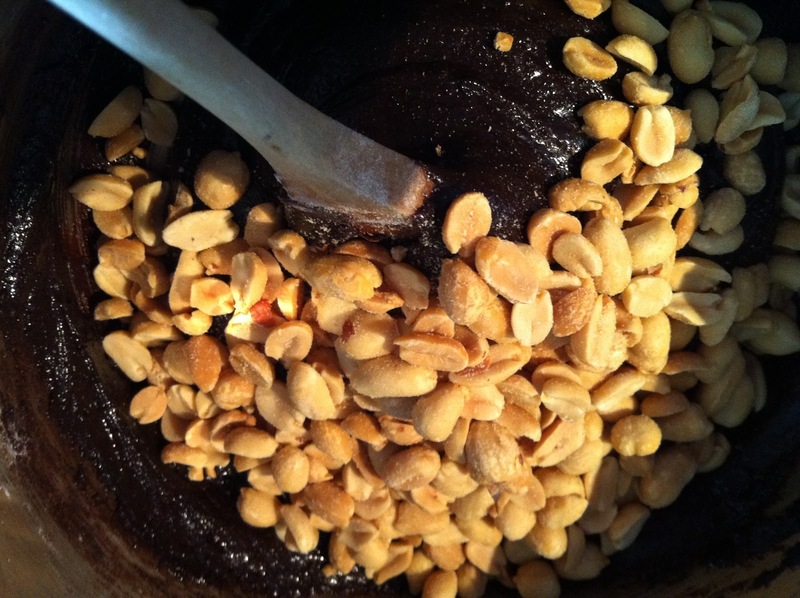 Stir in nuts and pour mixture into prepared pan, spreading evenly throughout. Bake for 25 minutes or until a tester comes out clean. Cool in pan on rack. Once cooled, using the foil overhang lift brownies out of the pan. Pull foil off and cut into 16 pieces. Still craving peanuty treats? Check these out.